Unplugged ceremonies are becoming more prominent in today's weddings; with all of the technological advances, it is easy to forget to live in the moment. 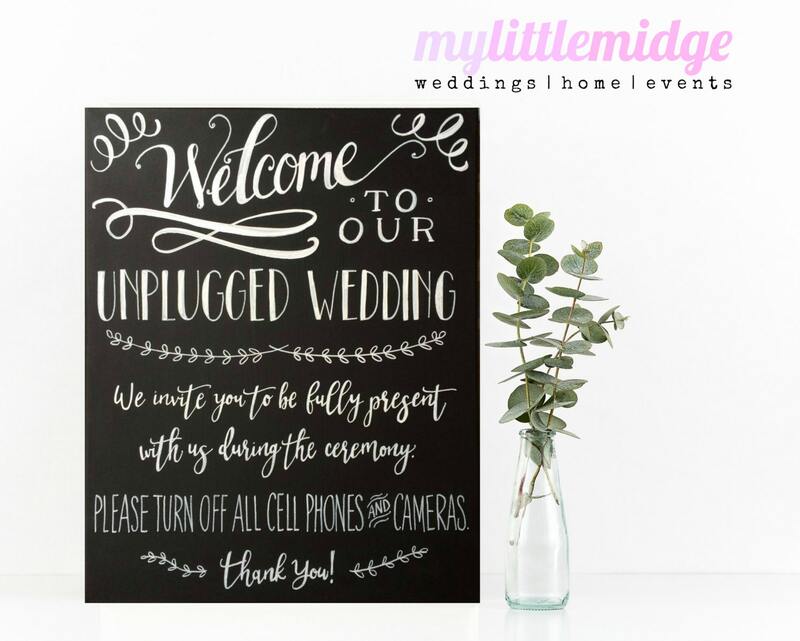 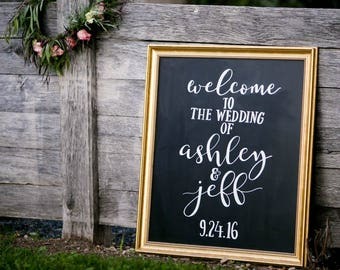 This sign is meant to serve as a general reminder to your guests to please be fully present at your ceremony and share this moment with you both. 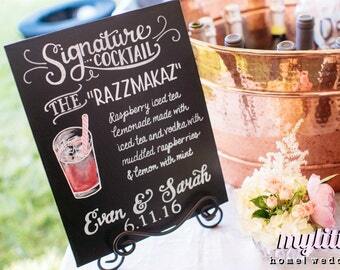 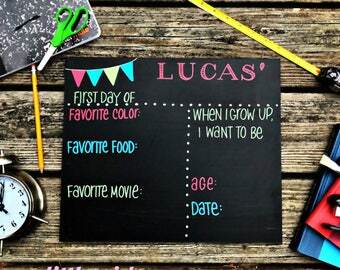 Each hand lettered sign is done with permanent paints on a chalkboard painted canvas. 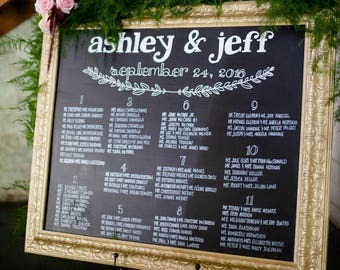 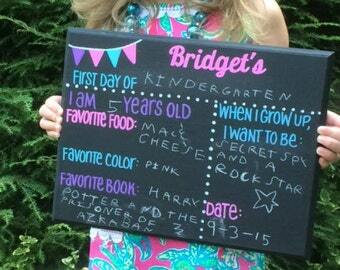 Personalization (couple's names and wedding date) available for an additional $5 (see options).